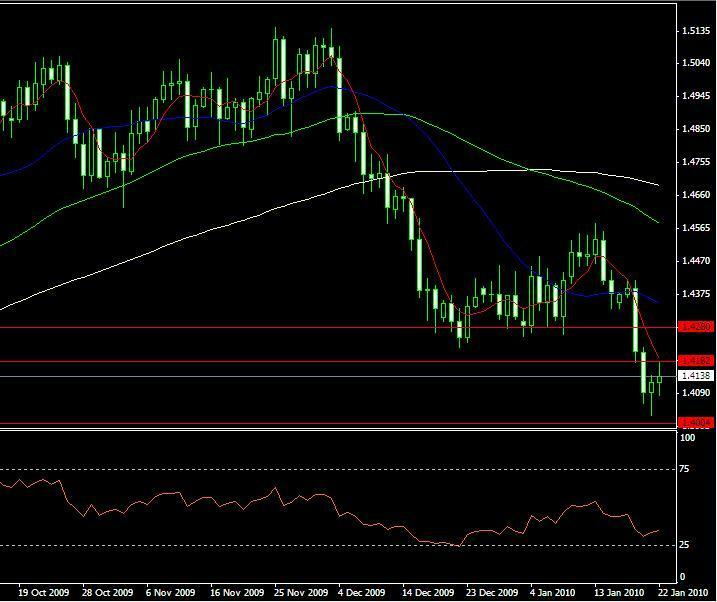 EURUSD took retracement towards 1.4180 level as expected and some brokers also filled the sell limit for us as well. The plan seems to stay the way it was pointed out last time and we expect that EURUSD will take an early dip during this week and we might see EURUSD touching 1.4000 level. RSI has opened up a bit after two days of retracement and seems to have set itself up perfectly for a move towards 1.4000 level.